(ANNAPOLIS, MARYLAND) The House Ways and Means Committee of the Maryland General Assembly will hear legislation on Friday, February 24th at 1:00 that directs the state Department of Health and Mental Hygiene (DHMH) to craft safety guidelines for the use of digital devices in Maryland public schools. Delegate Steven Arentz (R-District 36) has sponsored the legislation, House Bill 866, "Primary and Secondary Education - Health and Safety Guidelines and Procedures - Digital Devices." The House bill has 25 co-sponsors and broad bi-partisan support. An identical bill has been cross-filed by Senator Steve Hershey (R-District 36), co-sponsored by Senator James Brochin (D-District 42) and Senator Susan Lee (D-District 16). It has been referred to the Education, Health and Environmental Affairs Committee. HB866 aims to protect Maryland students from the health hazards that medical experts have for many years associated with daily use of digital devices. The Occupational Safety and Health Administration (OSHA) has had regulations governing the use of computers for office workers since the 1990s, but schools have no medical oversight. "More and more experts are proving that there are serious risks to our kids' health because they spend every day on a digital device," Delegate Arentz said. "Maryland students need to get the most out of this technology, so we want medical professionals to lead us in a safe direction." Researchers have shown that many of the same health issues addressed by OSHA are now facing students who use digital devices every day in school. Retinal damage from blue light emissions, myopia, sleeplessness, muscle and joint pain, headaches, blurred vision, obesity, anxiety and addiction have all been associated as health risks facing students because of daily digital device use. The bill has substantial support from the state's medical community. The Maryland State Medical Society (MedChi), which represents all of Maryland's doctors, voted to support the legislation at their most recent meeting, according to Gene Ransom, MedChi's Executive Director. One of the co-sponsors, Delegate Clarence Lam, is a physician who leads Johns Hopkins University's preventative medicine residency program. Believed to be the first of its kind, the Maryland bill also has the attention of several large health groups across the country. 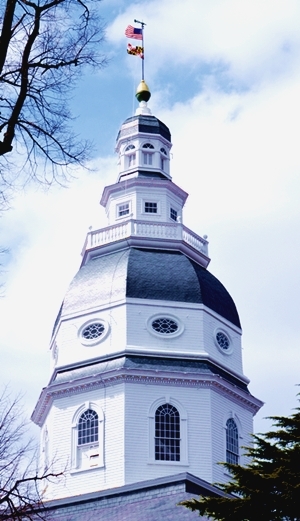 The nation's leading vision health organization, Prevent Blindness, supports the Maryland bill. Senior Vice President Jeff Todd wrote a letter commending Maryland's "efforts to ensure children’s vision, eye health and safety is at the forefront of any statewide effort related to childhood development." Optometrists from around the country have also sent support to the General Assembly urging passage of this legislation, including J. Scott Sikes, O.D., a NC Optometric Society Education Trustee and Dr. Geoffrey Goodfellow, OD, FAAO, an Associate Professor at the Illinois College of Optometry and an attending optometrist in the Pediatrics/Binocular Vision Service of the Illinois Eye Institute. “Protecting eyesight when it comes to the progressive use of digital technology and screen time addiction in young people is our number one priority” said Justin Barrett, CEO of Healthe, a company that creates products "to reduce exposure to harmful digital UV and High-Energy Visible (HEV) blue light emitted from such devices." "We hope the lawmakers will pass this important legislation to set a precedent for other states in the protection of all students." Dr. Nicholas Kardaras, PhD, LCSW-R, a nationally recognized addiction expert and author of Glow Kids: How Screen Addiction Is Hijacking Our Kids, writes: "I commend the screen safety effort in Maryland and strongly encourage the General Assembly to pass HB 866 and SB 1089 to mandate medically sound classroom regulations." Campaign for a Commercial-Free Childhood (CCFC) is a national advocacy organization with nearly 50,000 members, including 1,000 in Maryland. The group has asked Maryland lawmakers to give HB866 their "complete endorsement." In a letter to the Ways and Means Committee, CCFC Executive Director, Josh Golin, writes, "It is critical that medical professionals develop clear, research-based, age-appropriate guidelines for the use of digital devices in schools." Citing its 30-page research document released in August, Parents Across America (PAA) is another national advocacy group endorsing HB866/SB1089. PAA notes that it "has prepared extensive materials about the harmful effects on children's academic, intellectual, emotional, physical and social development when digital devices are misused and overused... We applaud the Maryland lawmakers who have responded quickly and appropriately to this critical situation." Maryland parents have rallied to support the classroom screen safety bill as well. Leslie Weber, Co-Founder of Advocates for Baltimore County Schools (ABCSchools), the largest public education advocacy coalition in the county, says, "This bill is greatly needed, especially in Baltimore County, where one of the nation's largest 1:1 digital initiatives is underway. Children as young as 5 are in front of screens most days -- objective guidelines from the DHMH are needed to ensure the safety of these students." Janis Sartucci, a member of the Parents' Coalition of Montgomery County, said, "This bill is long overdue. Our children need to be protected from a variety of health risks that could affect them for a lifetime. We must get DHMH involved to be sure kids aren't hurt." Queen Anne's County parent, Cindy Eckard, has testified and written extensively about the need for medical oversight of classroom digital devices. Her Op Eds have appeared in both the Washington Post and the Baltimore Sun. During a recent radio interview Ms. Eckard told WBAL Radio reporter Robert Lang, "Of course we want our kids to master technology; we just don't want them harmed in the process." Ms. Eckard also noted that teachers have a legal duty of care to protect students from known hazards in the classroom. "This bill will help teachers too, giving them statewide, uniform safety guidelines, from medical professionals and specialists at DHMH." Links to medical research; recorded General Assembly testimony; a screen safety press conference held in Annapolis with actress/comedian Paula Poundstone, and detailed information regarding the legislation are available on the website www.screensandkids.us or email questions to Ms. Eckard at screensandkids@gmail.com. Concerned citizens should contact the Chair, the Sponsor, and their own Delegate(s), while copying members of the Ways and Means Committee. All phone numbers are 410-841-extension. Chair, Anne R. Kaiser, Montgomery County, Dem. Vice Chair, Frank Turner, Howard Co, Dem. Kent, Queen Anne's, Cecil & Caroline Co., Rep.
Wendell Beitzel, Garrett & Allegany, Rep.
Benjamin Brooks, Balto. Co., Dem. Joe Cluster, Balt. Co., Rep.
*Eric Ebersole, Balt.Co & How Co., Dem. Michael Jackson, Calvert & PG, Dem. Jay Jacobs, Kent, QA,Cecil, Caroline, Rep.
Stephen Lafferty, Balto. Co., Dem. Johnny Mautz, Caroline, Dorchester, Talbot, Wicomico, Rep.
Pat McDonough, Balt Co and Harford Co, Rep.
Ric Metzgar, Balto. Co, Rep.
*April Rose, Carroll Co., Rep.
*Haven Shoemaker, Carroll Co., Rep.
*Jimmy Tarlau, PG Co., Dem.